Dr. Robert Denny graduated from the University of Texas. He received a scholarship to the University of Pennsylvania School of Dentistry. Following dental school, Dr. Denny joined the Navy Dental Corp during the Vietnam conflict. After the Navy, he returned to Denver. Following private practice in general dentistry for several years, he received a teaching fellowship to the University of Illinois School Of Dentistry. Upon obtaining a specialty in periodontics, he again returned to the Denver area. He became an associate clinical professor at the University of Colorado School of Dentistry and opened his clinical practice. Dr. Denny has more than 25 years clinical experience in the Denver area. 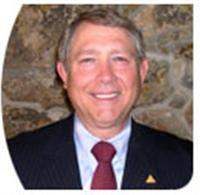 He is a past president of the Metropolitan Denver Dental Society and the Aurora Dental Health Unit. He is also a past president of the Rocky Mountain Society of Periodontists. Dr. Denny is a member of the American Dental Association, the Colorado Dental Association and the Metropolitan Denver Dental Society. He is also a member of the Pierre Fauchard Academy. He served on the Malpractice Trust of Colorado board of directors for three years. Dr. Denny has also served on numerous other committees for organized dentistry.